LED GLS Lamp 10W ES (E27) 810lm (5 Pack) is rated 4.8 out of 5 by 120. Rated 5 out of 5 by Spikezta from Lights On I bought these as part of the home renovations. 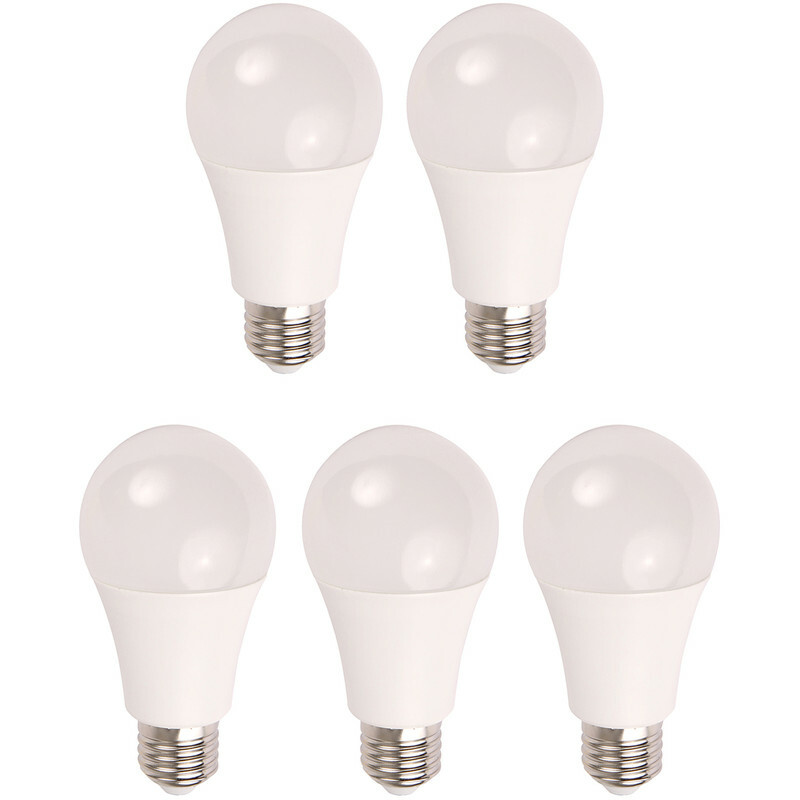 The older efficiency bulbs take time to get bright, in comparison, these bulbs come on instantly. Rated 5 out of 5 by Richebourg from Exemplary service, delivery and products. Bought these three weeks ago and have already used the whole box in my son’s new house. Rated 5 out of 5 by Richebourg from Great price and product I’ve bought this product to use in France so the excellent price was the main attraction along with economy of use. Rated 5 out of 5 by Norah from Energy saving I like these bulbs and they're brighter than I thought which is good.